The pattern of hexes is moving down and you have ball only to stop it. 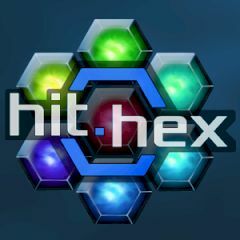 Each hex has a number inside which tells how many times you need to hit it for destruction. Every move gives one additional ball, but numbers also become bigger. Can you choose the right strategy to stop the pattern and get points?